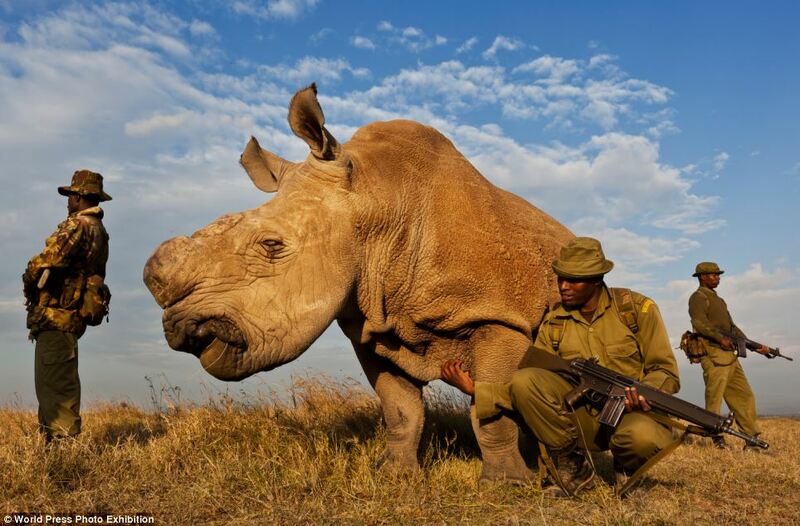 There are apparently only EIGHT (8) Northern White Rhinos left, four of which are protected by these brave young men at the Ol Pejeta Conservancy in Kenya. I know what you’re thinking. He doesn’t look white. Maybe he’s tan. Maybe he’s adopted, I don’t know. But the point is they’re almost down to where they don’t have to fight over tickets for Noah’s Ark.